yummy! very nice version..like it! I make a kootu with toor and channa dhal - must try the version w/o dhal like you've mentioned - looks good. 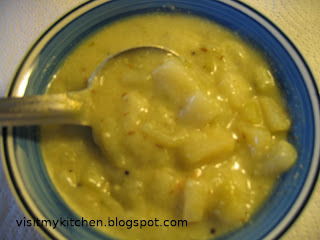 Looking nice and good with rice..
i add lot of dal..looks good and yes it goes well with rice as well as rotis.. I use moong dhal or Channa dhal for this kootu usually.No dhal to be cooked seems faster way to makr it.